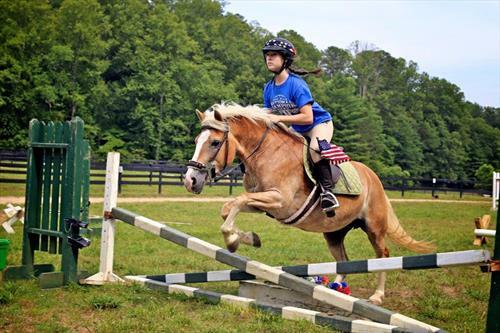 Outstanding girls’ summer camp in Western North Carolina seeks mature riding director for hunt seat program. Responsibilities include overseeing and scheduling and planning camper lessons, stable management, general horse care, instructor training and management. Camp Illahee would welcome partnership with established barn or riding program. Facilities include a well maintained barn, covered riding arena and beautiful pastures. Director must have an interest in children and in camp community. Camp Illahee, established in 1921 offers over 20 activities along with an excellent riding program in a traditional summer camp setting. Illahee is 40 minutes west of Asheville, NC. Benefits include salary based on experience, room, board, laundry and a positive work environment. Employment from May 24th – August 10th. Contact Laurie Strayhorn: 828-883-2181 or laurie@campillahee.com. salary based on experience, room, board, laundry and a positive work environment.